Yen Currency - Why Does It Stand Strong Against US Dollar? Why is the yen currency strong against the US dollar? There are a number of reasons for this, and one cause is the fact that more of this currency is bought than what is sold. The yen has seen a strengthening trend that has made it a popular choice for currency investors, and this is due in part to the low return that investments in other countries yield currently. Global Forex trading involving the yen and US dollar has increased, and the Japanese trade surplus keeps the yen strong against other currencies around the globe. The credibility of yen currency is accepted by investors, making it an attractive choice for many. 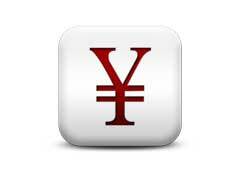 The RMB exchange rate with the US dollar is not as attractive as the rate seen with the yen. Expected changes in the United States monetary policy and the global economic downturn have caused investors to turn away from the euro and US dollar, and to purchase yen currency instead. Japan is one of the most influential creditor nations around the globe, with an economic system that depends on exports. Anxiety over the economic situation of the USA, and the recent credit crisis, has caused the yen to enjoy a favorable US dollar and euro currency exchange rate. Some Forex trading strategies in the last decade relied heavily on yen, and a number of investors including large institutions borrowed this currency when the interest rates were extremely low. Now that these loans have come due investors must purchase yen currency to repay the debts. This is also true to a smaller degree with other currencies that have a high demand right now. Investors have other choices if the goal is a strong currency with historical value, and some experts think that the yuan currency and a few others will also strengthen as well. Foreign reserve diversification sought by investors has usually been in the yen currency, but this could change in the future. Yuan Currency Forecast - Potential and Risks!